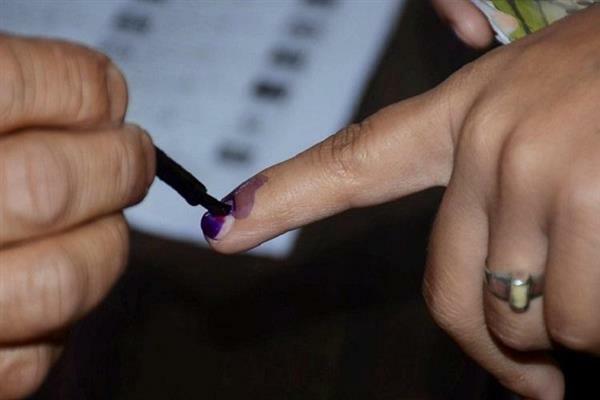 Srinagar, Jan 16 (KNS): All election formalities in Jammu and Kashmir are likely to be completed by February end after which the Election Commission of India will take a final call on the dates for the conduct of Lok Sabha and Assembly elections simultaneously. Top sources while disclosing this to Kashmir News Service (KNS) revealed that the Jammu and Kashmir government has fast paced the process of completing election formalities for both Lok Sabha and Assembly elections by February end and the final electoral roles are likely to be published anytime after January 20. As already reported the Jammu and Kashmir Chief Electoral Officer Shailendra Kumar held video conference on finalization of electoral roles and other election related arrangements with all the district election officers (DEOs) of all the three regions of the state Tuesday this week. Sources said the authorities in the election commission will work on the suitability of the location of polling booths across Jammu and Kashmir after January 20 and the process is likely to be completed by February 15. The Election Commission of India, sources said, is likely to take a final call on the dates for the conduct of Lok Sabha and Assembly elections simultaneously earliest by February end and latest by March 15 and the polling in Jammu and Kashmir is likely to be held in the month of April only.